This is an exciting chance to be part of a progressive and cutting-edge University in a beautiful coastal location, where you can really make a difference. The School of Biological and Marine Sciences is looking to appoint a new Lecturer in Marine Conservation. This role presents an exciting opportunity for a talented individual with proven expertise and an international reputation in marine conservation to develop their career in a marine-focused, innovative and supportive environment. Plymouth is home to the largest concentration of marine research expertise in Europe. The University has a growing international reputation for excellence in research and teaching of marine conservation and the School has over academic 60 staff with interests including conservation, marine biology and marine sciences. You will be expected to take a leading role in furthering this developing area. 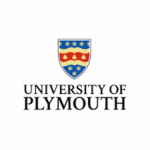 Research into marine conservation, management and policy at the University of Plymouth is led through the Marine Conservation Research Group https://www.plymouth.ac.uk/research/marine-conservation-research-group, which exists within a rich marine research culture, including the Centre for Coastal and Ocean Science and Engineering, the Marine Biology and Ecology Research Centre, Marine and Coastal Policy Research group and the Marine Institute. You will be expected to play a significant role in Marine Conservation research and take a lead in the development of innovative research initiatives as well as contributing to existing projects. Within the Marine Science subject area https://www.plymouth.ac.uk/schools/school-of-biological-and-marine-sciences/marine-science-at-plymouth we have a suite of undergraduate programmes, including Ocean Science and Marine Conservation, all of which received 100% satisfaction in the most recent National Student Survey. This September an innovative new MSc programme in Marine Conservation will begin which will complement our established marine science masters. Practical and field skills are emphasised throughout all these programmes using the high quality facilities provided by the University’s Marine Station and our great marine setting in the SW of England. There is some flexibility in the start date for the post, although ideally we would like a start date around July or August 2019. You will contribute to the running and teaching of undergraduate and postgraduate programmes within the School. You will seek to develop a vigorous, externally funded, research portfolio in marine conservation that will contribute to the University’s future REF submission. You will also have a strong background in marine conservation, including a doctorate in the subject or a cognate discipline, a track record of publishing research in leading peer reviewed journals and a developing academic network of collaborators. You will have an ability to work effectively in an inter-disciplinary research team and to attract research funding and/or consultancy income. You will be able to teach effectively, both at undergraduate and graduate levels, and have excellent communication skills recognising diverse audiences. You will also be able to inspire students of the importance of enabling effective marine conservation. Please demonstrate how you meet the essential criteria outlined in the knowledge, qualifications, training and experience elements of the job description in your supporting statement. For an informal discussion to find out more about the role then please contact Gillian Glegg by email gglegg@plymouth.ac.uk or by telephone on 01752 584728 after the 10th of April. Interviews are expected to take place in the week beginning the 27th May 2019 and you will be notified if you have been shortlisted or not. This is a full-time position working 37 hours per week on a permanent basis. We offer a competitive salary package and a generous pension and holiday scheme. We also offer a range of other benefits, including ongoing development opportunities.